At my very first Yom Kippur service as the rabbi of the Jewish Center of the Hamptons, I lost control. 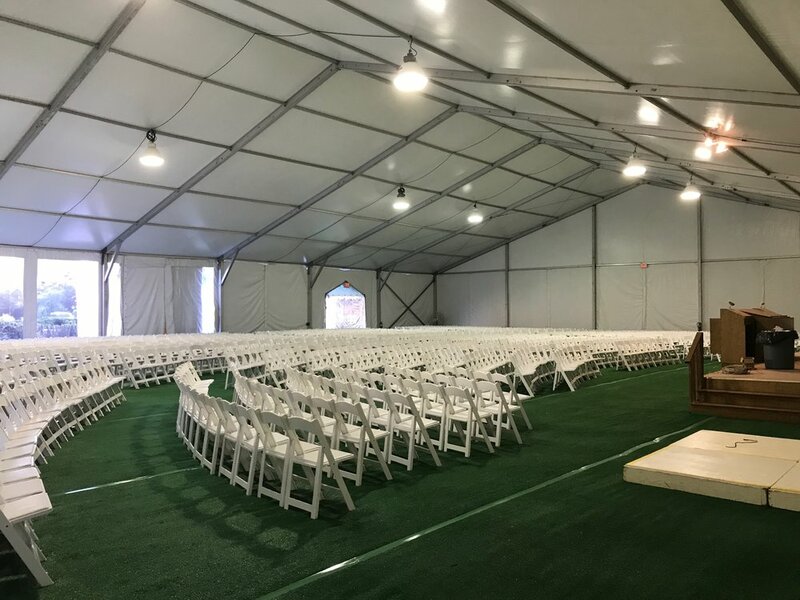 As I began to offer my sermon, rain began to drop down onto the roof of our High Holy Day tent. Soon the drops turned to torrents, and the torrents to hail. It was so loud that people couldn't hear their own voices, let alone mine. I had to stop the service. Within minutes, a flash flood swept through the tent. Control was lost. All I could do was embrace the chaos and the disorder. Order wasn't created upon nothing, but rather on the canvas of chaos and disorder. Too often we try to control the world around us, and we forget that chaos and disorder might actually enrich our lives. The holiday of Sukkot is the ultimate reminder of this. You are required to be outside in nature with nothing permanent. The roof of a sukkah won’t protect you from the elements, and worst of all, sukkot isn’t in the gentle breezes of early summer or late spring. It’s in the fall with all of its cold, wet, and sometimes disgusting nights. Sukkot–– in a nutshell––is a reminder to put yourself in a place without complete control, and enjoy it. Everything is but mere breath, everything is breath (Ecclesiastes 1:2). The word הבל (often inappropriately translated as absurdity, nothingness or vanity) appears 29 times throughout the book. All life, Kohelet teaches, is but a mere ephemeral breath on a cold winter day. We glimpse it for only a moment before entropy takes over, and it dissipates. We can't control life anymore than we can harness vapor. Kohelet reminds us that although life is breath, we can enjoy it through moments of joy (שמחה). On sukkot, we are thus commanded ושמחת בחגך... והיית אך שמח, you should be joyful, celebrate . . . and be nothing but joyful. All we can do is enjoy the chaos and be transformed by it! From chaos and disorder we create, we build, and we are transformed. This past Yom Kippur I felt as if Sukkot had come early. I knew that there was nothing I could do to stop the storm. There was no solution to a flooded tent that didn’t have negative consequences. All I could do, is throw my hands up in the air, breathe, and continue with my day of repentance. And for me, I felt transformed. All of my nervousness, anxst, preparedness, was transformed simply into being present. We cleave to the structure and order that guide us through life's twists and turns. But we must never forget to let go once and a while so that we might let in a bit of chaos and disorder. Only then can we become partners in creation, rebuilding what is broken, and giving meaning to what lays in disarray.